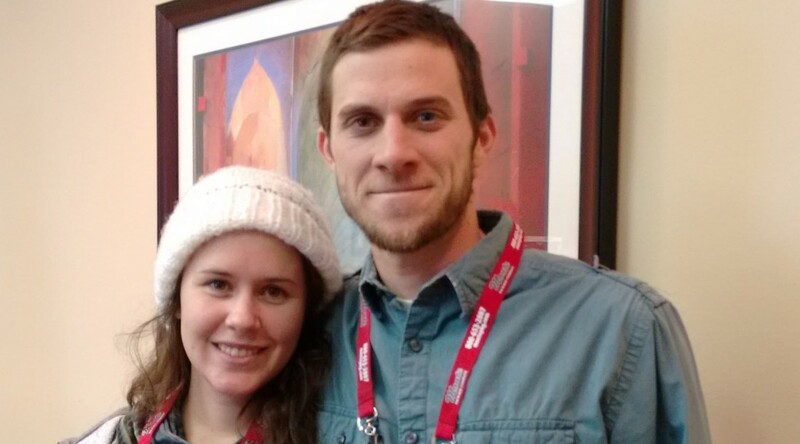 Interviewee Brent Koors, at the Northern Michigan Small Farms Conference, 30 January 2016. 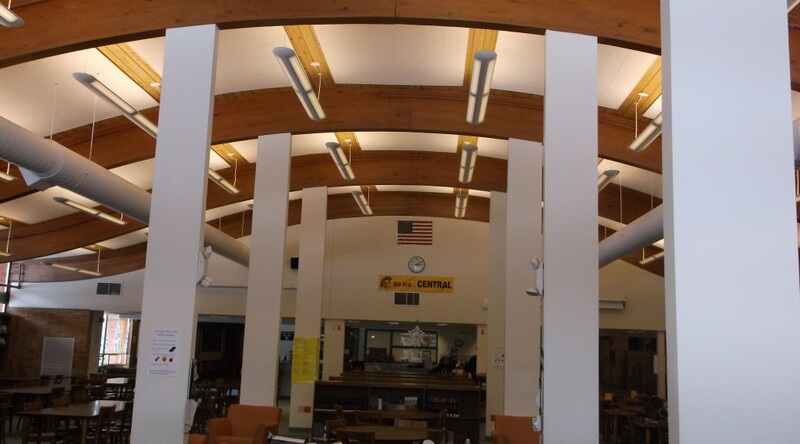 Image courtesy of Traverse Area District Library. Traverse Area District Library (TADL), in partnership with Crosshatch Center for Art & Ecology, have released “Food for Life on Two Peninsulas: Stories from Old Farm Families, Migrant Workers, and the New “Foodies” of Grand Traverse Bay,” an oral history collection developed and curated by TADL staff and volunteers. The purpose of the collection is to capture history in the making, focusing on a central question: what has becoming a “foodie” destination meant to the people and farms in our communities? 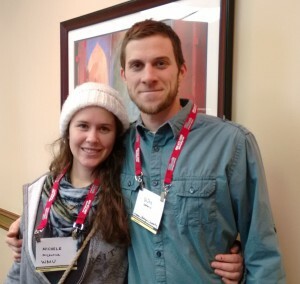 Interviewee Michelle McClintock (left) and William Derovin, at the Northern Michigan Small Farms Conference, 30 January 2016. 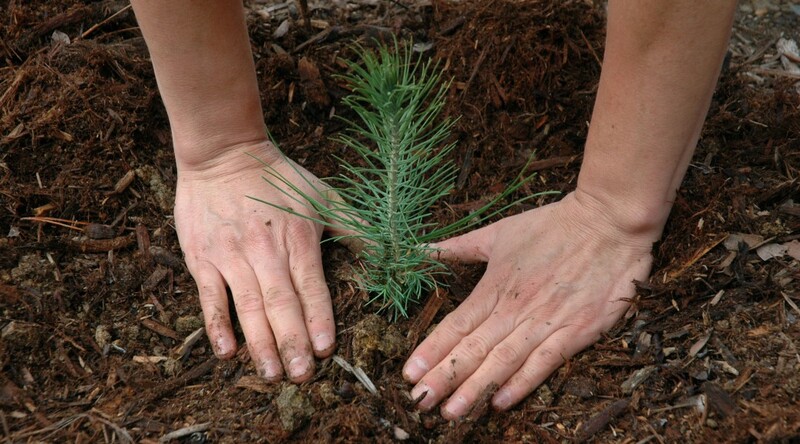 Image courtesy of Traverse Area District Library. TADL staff and volunteers conducted interviews with food producers and developers at the Northern Michigan Small Farms Conference 2016, held on January 30, 2016, and executed by Crosshatch and partnering organizations. Interviewees ranging from former Community Supported Agriculture (CSA) owners to pioneers in regenerative farm animal grazing practices, representing a variety of experiences, longevity, and communities throughout Michigan, spoke on their roles in the local food economy. “Seasoned farmers and greenhorns alike will find these oral histories to contain an enthusiasm for the love of locally-produced, responsible food, that draws our statewide “foodie” community together. We are grateful to Crosshatch for the opportunity to gather these stories, and look forward adding more,” said organizer Amy Barritt, Special Collections Librarian at TADL. There are currently 10 interviews available. For more information and to listen to these oral histories, please visit TADL’s Local History Collection’s website, http://localhistory.tadl.org/foodforlifeoral, or contact the Reference Department at 231-932-8502 or ask@tadl.org. When a former science teacher can’t sleep, questions come unbidden to occupy his consciousness. So it was one cloudy night when I conceived the following question: Does the full moon make a high arc across the sky during winter or a low one? After some consideration, I proposed an answer: at the solstice (December 20 or thereabouts), the full moon should mount high in the sky before it begins to set. Conversely, it should have a low trajectory in summer, never getting very high at all. Such a question is hardly of the complexity Albert Einstein entertained when he came up with the General Theory of Relativity, but then—I am not Einstein. Little questions are fun to explore as well as big ones, and if you don’t achieve fame, at least you gain a small glow of joy when you get something right. My reasoning went like this. All the planets, the sun, and the moon travel on a pathway across the sky called the ecliptic, which travels through all the constellations of the Zodiac. Why they all do this is well known: they all formed from matter that formed a disc around the sun. While some are more out of kilter than others, basically they race around on the same racetrack, moving from constellation to constellation over the course of the year. The sun at winter’s solstice is in Sagittarius, a constellation that—in Traverse City, at least—is viewed low in the south in summer. That is why it doesn’t get very high in the sky (and why the weather is so cold) in winter. When the moon is full, it is 180 degrees away from the sun—and must be in the constellation directly opposite Sagittarius, the constellation of Gemini. 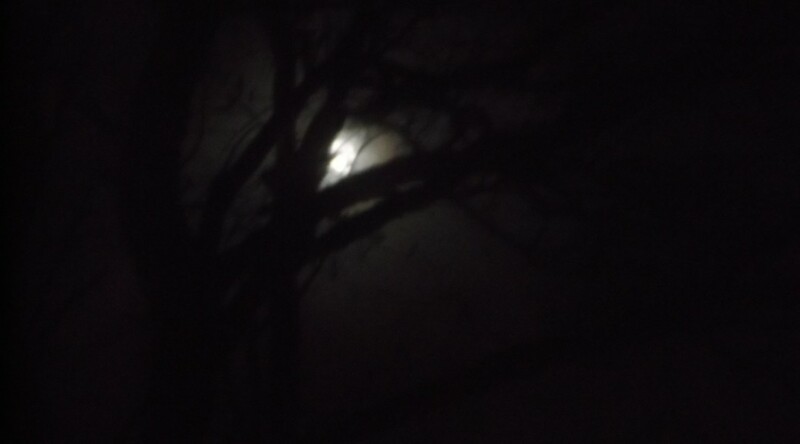 So…when the winter moon is full, it must rise high in the sky, at winter solstice higher than at any other time. Comforted with that solution, I went to sleep, the agitations of my brain somewhat quieted. I would only have to wait for the next clear night around the full moon to see if I was right. I expected to see the moon at midnight, high up in the sky, as high as the sun gets at mid-day in June. And that is what I saw. There it was, its brightness blotting out Gemini (though I confess, I did not want to get out of bed, get out my binoculars, and go outside to check out the stars on this cold night). My hypothesis was tested and was proved right! Such triumphs are the things that illuminate my life. Now I must wait for the full moon in June, which, according to my theory, should hug the horizon, often getting lost in the branches of trees and behind hills all around. You will help me check that out, won’t you? After all, June is just four months away, and you won’t have to sacrifice yourself to the elements: Just bring a blanket and a bottle of your favorite beverage to enjoy the moon hanging low in the sky. Of course, you can watch the moon ride high even in March—if you are content to look at the first-quarter moon. It will be in Gemini, just as the full moon was at the winter solstice. Check it out—but first, while you are trying to sleep, hunker down and visualize why that must be so. That is what I do. 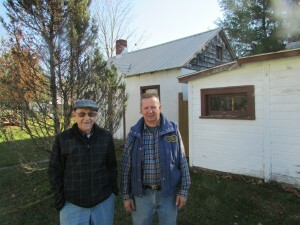 Arthur (left) and Allen A. Hulkonen, of Kaleva, Michigan. 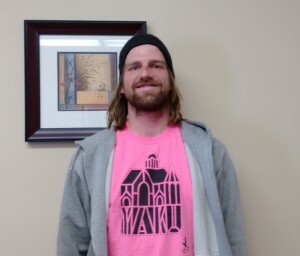 Arthur Hulkonen grew up in Kaleva, Michigan, at a time when saunas stood in most backyards of town and on surrounding farms. 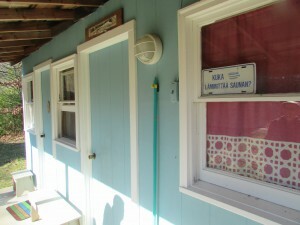 At that time, neighborhood and family saunas were entrenched in community life and stoked with wood on a weekly basis. Routinely, sauna baths were taken and enjoyed by all. Not surprisingly, Arthur’s parents and many of their neighbors hailed from Finland, a country known for its saunas. Shrouded in the mists of long-forgotten times, the Kaleva were a race of giants called Titans occupying a land called Kalevala. Songs of their deeds are still sung on the heaths of Finland. Many of them tell of a Finnish hero, Vainamoinen, who reveled in sauna heat after performing such deeds as riding an eagle or catching a pike as big as a school bus. When wounded from conflicts, he and his brothers would go to the sauna to heal. The Finnish national saga known as the Kalevala was compiled by Elias Lonnrot in 1849. Containing 22795 lines of poetry, it became the Finnish national epic and a source of pride as Finland became a nation. Considered a world classic, the Kalevala has been translated into many languages. The great Finnish composer Sibelius was inspired by its power and beauty. And singing a tale of kind. Along my teeth they scatter. Sauna Aika, or “Sauna Time” in Finnish. Portrait of Arthur Hulkonen. Image courtesy of the author, Fall 2016. Wednesday and Saturday were the days they fired the saunas of Kaleva, Michigan. Wood-burning stoves were lit, the heat from the large stoves filling the small cedar-lined rooms. Rocks on the top of the stoves sputtered and popped when splashed with water. Steam enveloped the Hulkonen family and their friends, sitting on high benches and thrashing their skin with birch whisks to improve blood flow. Many strange beliefs and superstitions are connected with the sauna and with bathing customs. The ancient Finns believed that fire came from heaven, and was sacred. The fireplace and the pile of stone in the sauna were altars, therefore. All diseases and evils of the body were driven out by means of various rites and magic spells. The Finnish word loyly–meaning the steam that rises from the stones–originally signified spirit or even life. In the sauna, one must conduct oneself as one would in church– according to a Finnish saying. 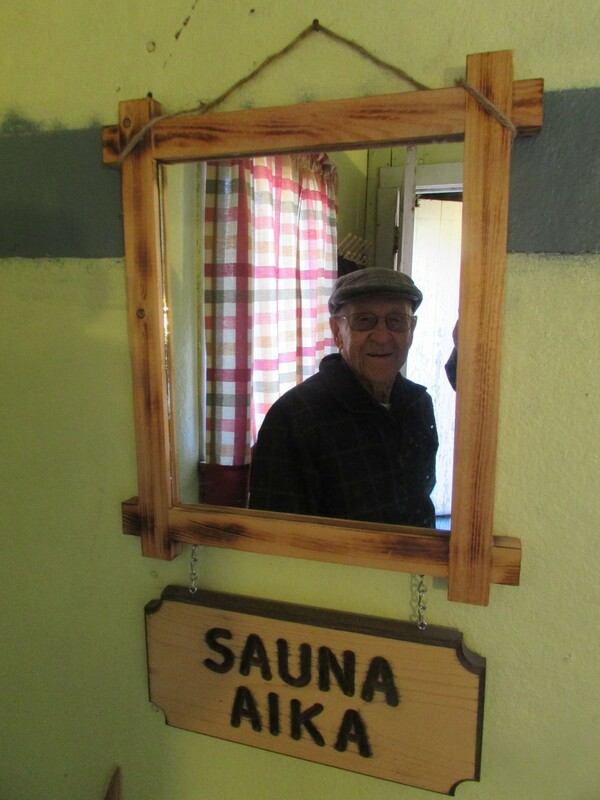 Art Hulkonen met his wife, Mildred, at her family sauna in Kaleva after returning home from World War II, this meeting proving that the family sauna was, indeed, a jolly meeting place. Keeping alive the tradition, Art’s son Allen A. has a sauna in his backyard, now one of the few in Kaleva still in operation. Hulkonen family reunions take place every couple years at the Bear Club. The Bear Club of Kaleva. Image courtesy of the author. The Bear Club is north of Kaleva on Bear Creek, its light blue sauna, just feet from the creek where sauna bathers can take a cool dip. The Club has a long history: Vernor Sarenius bought the property in 1912, farming the land until returning to his native Finland. In 1930 it was bought by a group of Standard Oil agents and served as a retreat until 1966, when the Hulkonens bought it. If you walk down Sampo Avenue in Kaleva, you can see where the saunas once stood. Sauna sites can be found in many backyards there. Once I stopped at a garage sale on Waotski Street and noticed a dilapidated stone shed at the back of the yard. It had been painted pink and had a green roof. Sure enough—the sales attendant told me that it had once been a sauna. After a few inquiries, I found a sauna behind the barbershop and another behind the hardware store. There is a sauna in the yard of the old parsonage of the Lutheran church and a foundation of a sauna behind the Kaleva Bar. A garden blooms on the site of the Hodimakie family sauna. Your eyes till they are snowflakes! 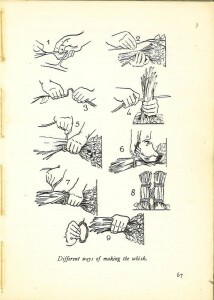 Options for making a whisk, from The Finnish Bath by Viherjuuri. The Birch whisk is an essential part of the Finnish sauna. The best whisk is made from leafy branches freshly gathered in summer. But whisks are used in Winter as well as Summer. In the old days a special week was set aside for making whisks. Curly birch (betula verrucosa) a subspecies of silver birch is the best. with not a shred ready made. The shiny lid of the Sampo was broken and scattered after it was made in Kalevala. And the bright-lid to pieces. The saunas of Kaleva have fallen down, but the sites where they once stood litter the village. 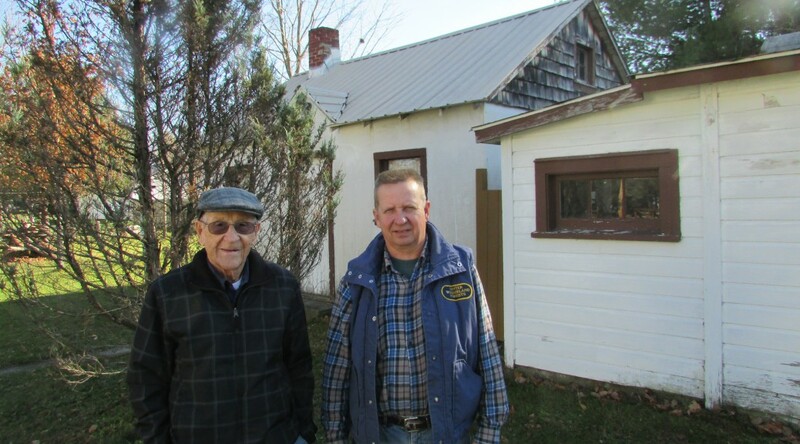 A few persons still practice the tradition of sauna there and elsewhere in Northern Michigan–you might see a sauna if you walk down Sampo Avenue. Who knows? Maybe you will even see the shiny lid of the long-lost Sampo. February 28, is Kalevala day in Finland. Kalevala is available for checkout at the Traverse Area District Library. S. A. McFerran is a regular contributor to the Grand Traverse Journal, and has built his own sauna where he experiences a loyly each week. 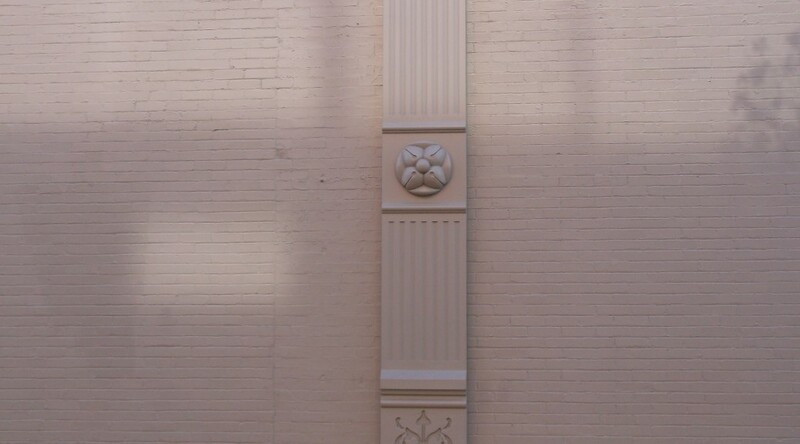 What downtown Traverse City building features this beautiful ornamentation? The building was erected in 1884. Its construction was covered heavily by the newspaper at the time, the Grand Traverse Herald. If you are interested in reading more about it, copies of the newspaper are available in print and microfilm at Traverse Area District Library, thanks in large part to the recent donation of archival materials made by the History Center of Traverse City.